Community Blog - Beauty is in the eye of the... computer? Beauty is in the eye of the... computer? Israeli scientists from Tel-Aviv University claim they have created a computer that judges how attractive a women is. The program was created by mapping the geometric shape and symmetry of facial features from the photographs of one hundred different women which had been rated from one to seven in terms of attractiveness by a group of men and women (the human kind). 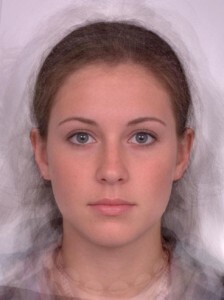 The computer is trained with various predictors such as skin texture and is given the average human attractiveness score for each face. In comparison to previous machine learning inventions the ratings produced by this new computer program highly correlate with human scored ratings. So who, we hear you ask, really cares if a superficial computer thinks they are a yummy mummy or not? Plastic sugeons are most likely to get the most from this computer beauty judger by using it as a guide in reconstructive surgery. Somehow the idea of applying technology to my face doesn't really appeal. Think I'll stick to the traditional application of natural cleansers and face moisturisers.